“Set as metered connection” limits Windows 10 from hogging data. Now, you can enable this setting on wired connections. Windows 10 is a notorious data hog. This can be expensive or downright prohibitive for those on limited data plans. Metered connections help by changing the way some apps and services use your data. Previously, you could only set a wireless connection as a metered connection. 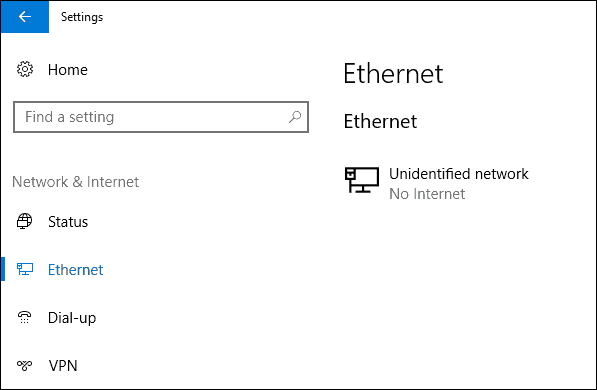 In the Windows 10 Creators Update, you’ll also be able to set Ethernet connections as metered connections. In this article, we’ll show you how to do that, plus a few other data-saving features. Editor’s note: In October 2016, Windows announced the Windows 10 Creators Update slated for public released in March/April 2017. We’ve been testing out the new features that are now available for Windows Insiders. Be sure to subscribe to our newsletter so you can get a sneak preview of all the upcoming features in the Creators Update. Click Start > Settings > Network & Internet. Select the Ethernet tab then click your Ethernet connection. Toggle on the option Set as metered connection. That’s it! Your Ethernet connection will now efficiently sip data when connected to the internet. 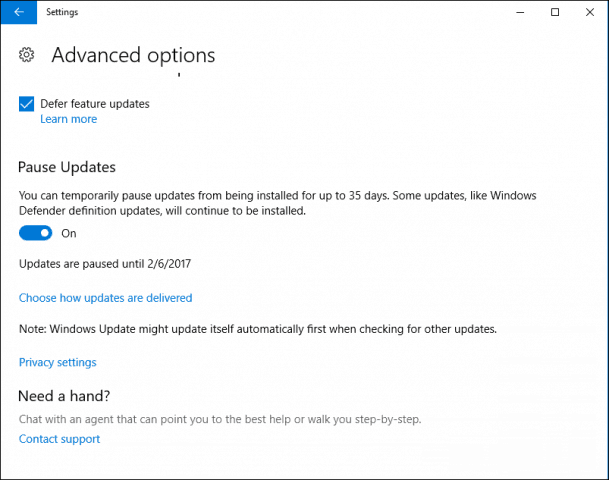 One more data-saving tip before we go: In the Creators Update, you can now pause updates for up to 35 days. This will explicitly prevent large feature updates from automatically installing. Pausing updates won’t prevent Windows Defender definitions from being downloaded, which is understandable. Go to Start > Settings > Update & security. Check the Defer feature updates option. You might ask: When would you need to use these two settings? If you are sharing a mobile data connection with another computer over Ethernet, that computer could easily deplete your data without any sensitivity to the network it is connected to. 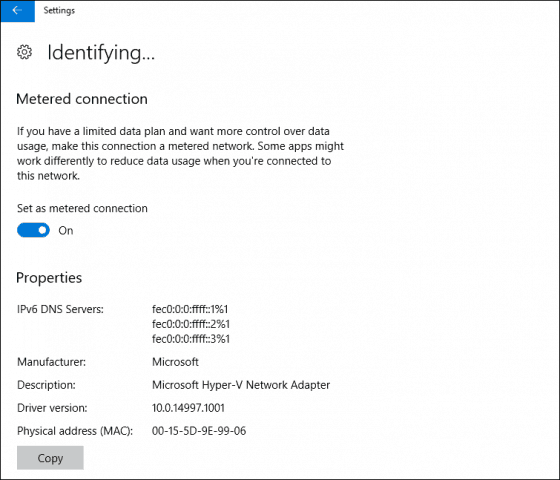 For instance, I use my iPhone’s mobile hotspot feature to connect my Microsoft Surface Pro to the Internet, but sometimes I need to connect a Hyper-V virtual machine to the Internet too. So, there are welcome benefits to having this feature. When combined with some of the existing options already included such as Defer updates and active hours and restart options, users should feel more confident when using their Windows 10 devices on cellular networks. Let us know what you think about these new improvements in the Windows 10 Creators Update. Are you testing the previews? If so, tell us what are some of the new features you like in the new version.